Hives, also known as urticaria, are a series of raised, red, itchy rashes that can occur as part of an allergic reaction. Not all allergies result in hives, but at least 20% of the U.S. population will experience a hives attack at least once in their lifetime. 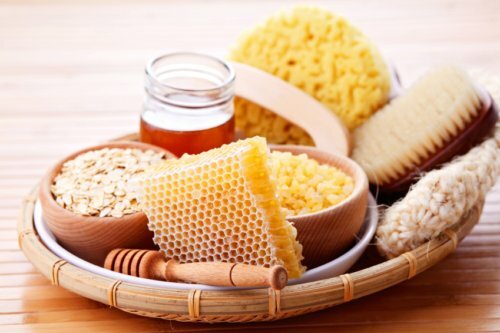 Although unpleasant, hives rarely last longer than a few days and there are further methods you can use to speed recovery and prevent reoccurrence. When your body is in the middle of an immune response it will produce a compound called histamine. Histamine is sent to the affected site and increases the permeability of the area’s capillaries. If a pathogen is present, this process helps by making it easier for white blood cells to enter the affected site and destroy invaders. However, allergies are cases where an immune response is triggered without a pathogen being present. As a result, the histamine ends up causing the capillaries to leak instead. This fluid accumulates under the skin and forms the rash known as hives. Certain medications like NSAIDs or certain blood pressure drugs. Hives appear as a series of pink or red circular swellings, called wheals, which appear on the skin. They can be very tiny, up to several inches in diameter, and can also be extremely itchy. Wheals typically occur in groups along the face or extremities but can appear anywhere on the body including the tongue, lips, or ears. In the case of a contact allergen, they will often appear in the same location the allergen made contact but can end up spreading. Hives will be frequently itchy and in some cases will also burn or sting. Most cases of hives will last roughly 48 hours before fading though some reactions have been known to persist for longer. If a case of hives lasts more than six weeks, the condition is considered chronic and means that there is likely an underlying immune disorder such as lupus or a thyroid disease. Roughly one in every 1,000 people with hives experience a chronic reaction. About a quarter of people with hives experience what is known as angioedema, which is a form of swelling in the lower layers of the skin. The symptoms of angioedema are similar to hives and the two conditions can occur simultaneously or separately. Angioedema reactions often happen on the face, specifically around the eyes, cheeks, or lips but are also known to appear on the hands, feet, or throat. It presents itself as very large, thick, swollen, red welts that feel warm to the touch. Angioedema is a more significant concern than hives because the swelling occurs on deeper layers of the skin. This means there is a risk the swelling can be severe enough to obstruct the airway and make it difficult to breathe. Anyone who is having an allergic reaction and begins to feel their throat swelling, or has trouble breathing, needs to seek emergency medical care immediately. As mentioned above, most cases of hives resolve within a few days and treatment will not significantly speed this up. However some cases can be annoyingly persistent and as a result the following treatments may be employed. 1.Antihistamines: As the name implies, these drugs will block the effect of histamine and ideally reduce the size and itchiness of the rash. This is not an advisable treatment for pregnant women unless specifically recommended by a doctor. 2.Corticosteroids: These will be used to reduce swelling, redness, and itching in cases of severe hives or instances of angioedema. 3.Epinephrine: A form of adrenaline used to treat anaphylactic reactions. Epinephrine is normally used by emergency room workers and similar medical personnel to treat cases of severe hives or angioedema. If you are prone to serious attacks you may be advised to carry a self-injection of epinephrine, commonly known as an EpiPen. 4.Avoid triggers: Taking steps to avoid triggers that you know can give you hives will both prevent the condition from reoccurring and prevent the aggravation of any existing outbreaks. 5.Cool compress: Applying a cold, wet compress will help ease swelling and reduce the itchiness. 6.Bath: A bath with baking soda, uncooked oatmeal, or colloidal oatmeal meant for the bathtub can help soothe outbreaks and make them more bearable. 7.Diet: Some foods such as spinach, fish, yogurt, tomato, chocolate, and strawberries are known to stimulate histamine production. What effect abstaining from these can have on a hives outbreak is still highly debatable but avoiding them in the short term may help. 8.Diary: Not technically a treatment option but if you are experiencing hives but cant tell what the cause is, keeping a record of possible triggers can help you narrow them down. 9.Don’t itch: Seriously, don’t do it. Scratching creates additional irritation (you) and if you break the skin you will be at risk for infection. At the very least, breaking the skin will just create another immune response that can prolong the hives further. You should consult with a doctor if your condition doesn’t seem to be responding to treatment or if the hives persist for over a week without diminishing. Your doctor will be able to prescribe stronger corticosteroid or antihistamine options, test you for triggers you may not know about, or assess you for any underlying immune disorders that could be behind the outbreak. “Hives Causes, Picture, & Treatment,” WebMD web site, May 28, 2015; http://www.webmd.com/skin-problems-and-treatments/guide/hives-urticaria-angioedema. “Hives and Angioedema,” Mayo Clinic web site, February 14, 2014; http://www.mayoclinic.org/diseases-conditions/hives-and-angioedema/basics/definition/con-20014815. Nordqvist, C., “What Are Hives? What Is Urticaria? What Causes Hives?” Medical News Today web site, September 26, 2014; http://www.medicalnewstoday.com/articles/157260.php.